I thought I would write a quick summary for you guys on the possible air intake modifications for the 93ss. A couple of quick things you need to remember, first off almost all of these with the exception of the drop in filters HAVE been reported to throw the MAF censor. The result is a CEL, and the car will go into limp mode. 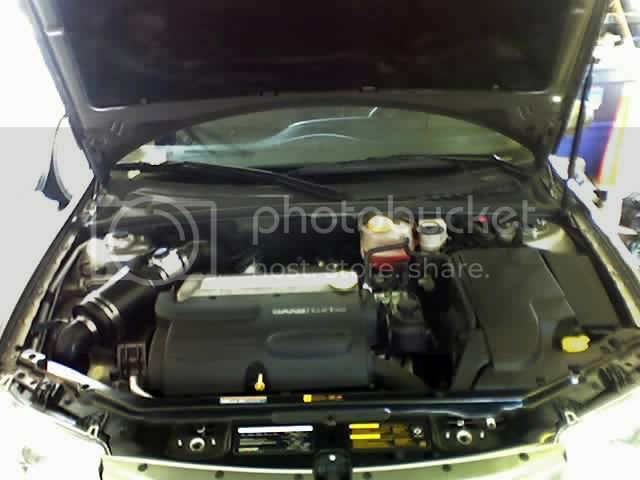 Second off, you will see little to NO performance gain from modifying the air intake on this car. All performance gains must be done via software. Changing the air intake will allow for a more "sporty" engine sound, and will give you the "psshhhh" sound from the BPV. This is a bypass valve, not to be confused with a blow off valve, it still sounds good however. I have some audio/video clips of some of them, I'll upload them as I go. - Simota carbon fiber: Very difficult to install, poor instructions. I contacted simota and received very poor support from them. As of my knowledge I’m the only person that has it properly installed, and that’s because my mechanic friends helped me out. I purchased it from PFS, it arrived in USED condition. I posted on SC about it and was BANNED. DO NOT PURCHASE THIS PRODUCT. - JR drop in filter: This product has received the best reviews from everyone that has it! - K&N air intake: They have a drop in filter now supposedly and an open air intake type set up, once again IDK of anyone that’s used it. - BSR drop in filter: IDK of anyone that’s ever used it. about the S&B, I thought I heard that genuinesaab has them made to a high quality specification that they have established, so they are probably actually just as good or better than the bigger more popular brand names. I use the Drop in K&N Panel filter with a modified 3" Air box mod on my 9-3 SE HOT. One thing I wondered regaurding drop in filters... If I'm not gonna see any performance gains either way I go, I might as well go drop in. I really only wanted the intake for the psshhh (hah). Now most aftermarket filters I see are cones, but some of the drop in's I see for the 9-3 SS is the panel.. I haven't opened up my air box, but is the stockie a panel too? 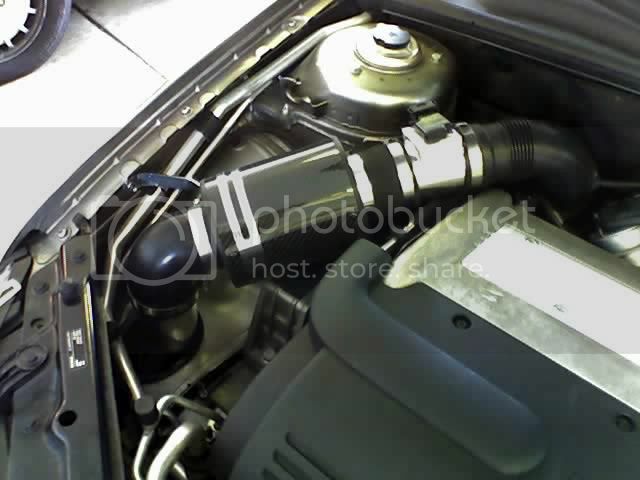 Speaking of air box, another thing I notced was the MAF is connected to the stock air box. Does that mean I would need to cut it off in order for it to work well with the drop in? Or could I drop in the K&N and put the air box back on top...? I have no clue! Drop ins are identical shaped to your stock filter they just flow better. So no modification is needed to fit one on your car. Now you can do whats known as a 3" Air box mod to your stock air box. Do a search on here or SC for Air box mod and you should get some directions for it. I wonder why these all throw the CEL for the MAF sensor. Thats why I was asking. I know your setup won't cause a CEL but thats because all you have is a drop in filter which he said would not cause problems. Ahh ok... my setup is slighly different than a standard drop in as I went the 3" Funnel ram intake mod on the stock air box with the snorkel removed. Close to stock but not quite stock. Niether of you guys are on T8, you guys are on T7 I've even had a CEL thrown with mine despite it being set up properly. No you do not need to modify the MAF sensor with a drop in filter replacement. It is like a panel, you just pull the stock one and put in the other one, and it allows for better airflow, and will give you a bit of the pssshhh sound. The T8 is that sensitive then?? Hahahahaha, oh yeah. It can be a nightmare. I think part of the problem with the "open air" type intakes is that you have to move the MAF sensor, and moving the MAF sensor at all can trigger a CEL =/. I drove with mine on for several months and several thousand miles before it went into limp mode. Dealership cleared the error code and re-seated the MAF sensor and we are going to see what happens this time around. Last edited by soggy; 11-21-2006 at 12:14 PM. up here a MSU our instructor had told us that sometimes the oil used in some filters (K&N) can mess with MAF's but in my car I've had a open filter that I oil from time to time and that hasn't had a problem. granted mine is a c900 not a T8 car. 1979 99 GL "99 Super"
You are correct. On some air filters the oil will get loose and into the engine and damage it, it will also get on the MAF sensor throwing a CEL. You have to be carefull not to over oil the filters when you clean them. As of my knowledge this is a different problem than what a lot of us have been experiencing with the T8. I've got the KN intake on my car....no problems yet, and I just got home from driving to the Bay area and back (1800+ miles). I searched with no luck.You know where I can find this thread? I'd do this mod tomorrow if I had the right instructions! This will give you the idea of everything you need and the steps to do it. Awesome! Thanks a ton man... I just may have to call in sick to work today to enjoy this new mod I'll be doing, ha. LOL!! Your welcome....... The whole process will take you about 2 hours tops. If you put in a Forge or Hyperboost type Diverter Valve you will get a nice PSHHHHH during shifts.